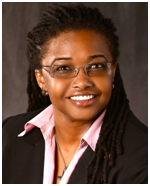 Vera L. Johnson is the current Executive Director for Fort Bend Family Promise, serving since 2011. Johnson came to Fort Bend Family Promise with nearly twenty years of experience in the non-profit sector. Most recently, she served as vice president of program operations for the Coalition for the Homeless Houston & Harris County and preceding that position, for fifteen years as the vice president of client services with AIDS Foundation Houston. Fort Bend Family Promise opened its doors in 2005 and is part of a national program that operates affiliates in 41 states. It relies on a network of local Fort Bend congregations to house and feed the families on a rotational basis while they work to regain self-sufficiency. Since its inception in 1998, more than 300,000 men, women and children have been helped through Family Promise programs around the country. Ms. Johnson brings to the program a unique blend of faith, honesty, a down-to-earth style, and ability to help homeless children and their parents find their way back home to permanent housing.